Trucking companies are required to purchase liability insurance in case a driver in their employ causes a collision. The minimum amount of liability insurance that a trucking company must purchase is $750,000 for interstate general freight motor carriers. For hazardous-material haulers, the minimum is between $1 million and $5 million. While this may seem like a lot of money, truck accidents can cause permanent injuries and deaths to drivers in Denver, Steamboat Springs, Greenwood Village and surrounding areas. A truck accident lawyer knows damages from a serious injury or fatality can quickly exceed the minimum amount of insurance coverage that a commercial trucking company is required to purchase. These minimum limits have not been adjusted since 1985 and have not nearly kept pace with inflation and rising costs. 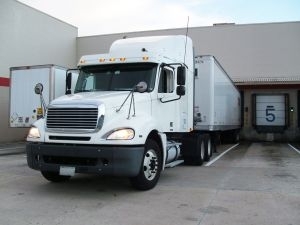 Finally, however, the Federal Motor Carrier Safety Administration (FMCSA) is considering changing the minimum limits. Although the FMCSA has launched rulemaking related to raising minimum insurance requirements, an actual change to regulations is far from guaranteed. The FMCSA is asking for public comments and any new requirements will not be passed and or go into effect in the foreseeable future. The FMCSA’s proposed rulemaking does not actually propose new minimum levels of insurance coverage that truckers would need to buy. Instead, the FMCSA has asked for responses to 26 different questions related to insurance premium rates; the insufficiency of current information on the minimum coverage requirements; and the impact of increasing minimum coverage. The FMCSA is acting because the agency believes that the current limits do not adequately cover the costs of “severe and critical injuries that are common in catastrophic truck crashes.” The Trucking Alliance conducted a study about claim settlements in 9,000 different accidents and discovered that around 42 percent of the settlements were above the current $750,000 threshold. This supports the FMCSA data. As the JOC Group, Inc. indicates, the current insurance minimums have also not kept place with inflation. Between 1985 and 2013, the consumer price index rose an 2.8 percent on average. Meanwhile, the insurance minimum coverage limits have not moved upwards at all. Since the potential damages are so high, 83 percent of trucking insurance policies are already written to provide for more than minimum coverage. This means many companies won’t even be affected by a change. However, until the FMCSA alters the coverage rules, not all trucking companies will be responsible enough to buy more than the bare minimum. When a victim is involved with a trucking company that has chosen to do the minimum and is thus effectively underinsured, this victim may have added challenges being fully compensated for losses. The FMCSA, which is part of the Department of Transportation, is also considering establishing insurance requirements for freight forwards and freight brokers as well as modifying rules regarding self insurance and governing trip insurance. Victims of truck collisions will benefit if increases in minimum coverage limits go through, as there will no longer be concern about whether enough money is available to provide full compensation for loss. Contact Bell & Pollock at (877) 744-5900 or visit https://www.bellpollockinjury.com to schedule a consultation with a truck accident lawyer in Denver, Greenwood Village and Steamboat Springs Colorado.